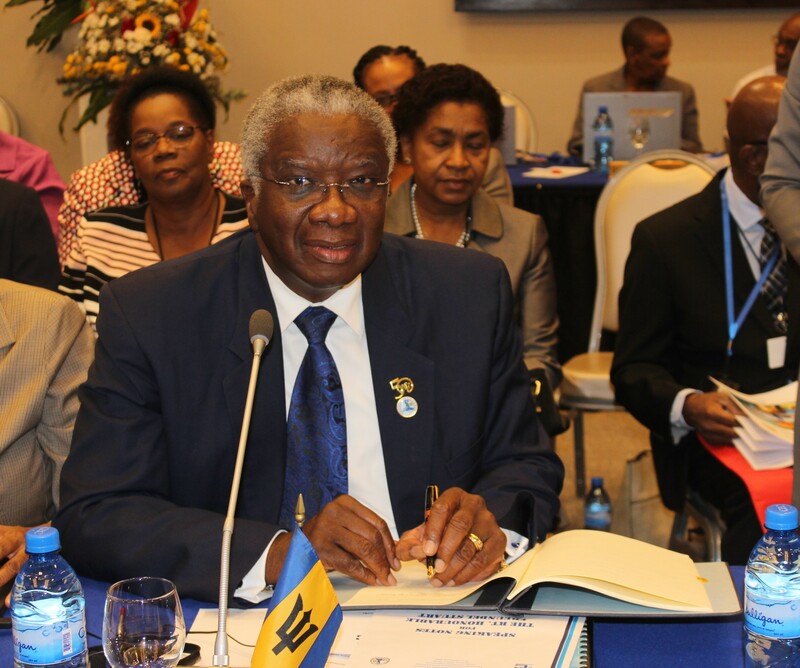 Barbados Prime Minister Rt Hon Freundel Stuart signed the CARICOM Arrest Warrant Treaty and the Revised Agreement Establishing the Caribbean Examinations Council (CXC), during the second day of the 29th Inter-Sessional Meeting of CARICOM Heads of Government, at the Marriott Hotel, Port-au-Prince, Haiti, Tuesday. The CARICOM Arrest Warrant Treaty, already signed by some other CARICOM Member Countries, simplifies the procedure of returning fugitives to the country where charges have been laid. The Revised Agreement Establishing the CXC seeks to update the CXC’s legal structure in light of subsequent organisational practices, recent market developments and current needs, with particular emphasis on accommodating requests from additional territories and institutions to join or otherwise participate in the CXC.